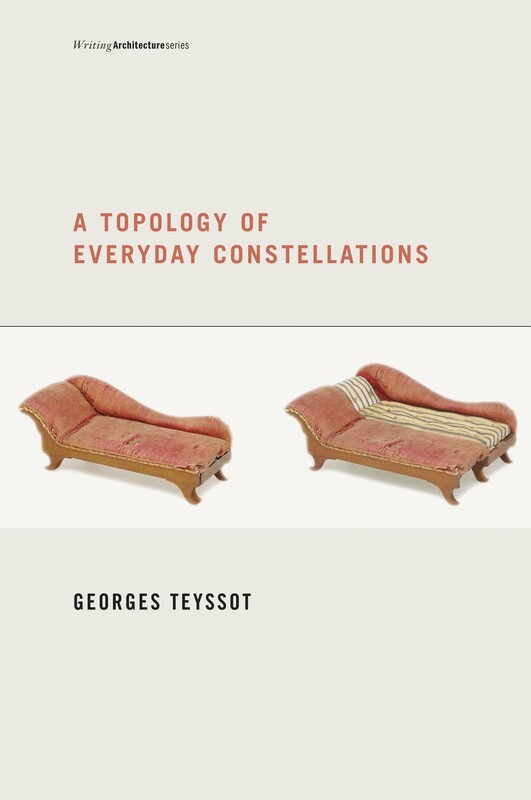 I am going to use my post this week to explore the writings of George Teyssot, Professor of Architecture at Laval, Quebec. Teyssot has written at least two essays on race and architecture that I know of; the first appeared as a chapter in Antoine Picone and Alessandra Ponte’s anthology Architecture and the Sciences: Exchanging Metaphors (Princeton Architectural Press, 2003), and the same material refined for a chapter in Teyssot’s recently published A Topology of Everyday Constellations (MIT Press, 2013). In both contributions, Teyssot examines the ‘confusion’ that emerged in nineteenth-century architecture theory between the terms ‘type’ and ‘typology’. According to Teyssot, modern architects tried to replace the former with the latter without completely being aware of the disciplinary sources (and baggage) of their interdisciplinary borrowing. While this claim may be true of many of the figures Teyssot cites from France and Germany, it is hard to consider this true for Eugene Emmanuel Viollet-le-Duc and Gottfried Semper, two architects that are used to open his chapter. Viollet and Semper not only directly cited the work of anthropologists (and other race scientists) in their writings, but there is a lot of evidence to suggest that they had direct friendships with these men. Perhaps Teyssot’s claims were meant to be restricted to architects of the 1920s and 30s who continued using these terms without being aware of their origins, but alas I will have to reread to chapter to know for sure. As for now, let us get to the meat of my reading for this week. [Architects] did not clearly discuss the profound differences between the classical [notion of] type, an ur-genesis that repeated the antique form, and modern morphogenesis, which established the abolition of mimesis, the institution of the norm, the repetition of the same, and the prescription of the new. The classical and neoclassical notions of type were based on the embodiment of ideals that referred, through nature and time, to principles and rules that conferred authority to the building, while the modern typology led to disembodiment. The new abstract typology was formed by means of calculation, determined by the laws of evolution, and grafters onto the skin by thousands of inscriptions. Although type never informed architecture (except as revival), the idea of typology reorganized the environment in a thoroughly normative way (69). I have no trouble following points 2, 3 and 4 of his analysis, and really appreciate the unintended implication that statistical conceptions of the body tended to devalue the specificity of the human body and ‘disembody’ human body metaphors in very interesting ways. However, the point on mimesis throws me a bit. Teyssot focuses on the disciplinary shift away from neoclassical depictions of type form toward modern notions of typology, which he sees as manifest in the complete replacement of mimesis (imitation) with the physical representation of a statistical mean. Given this definition of typology, it is no surprise that Teyssot uses Adolphe Quetelet to illustrate this historical transition as he was one of the first scientists to understand human variation through statistical analysis. (Quetelet routinely described entire groups of people with charts illustrating the statistical mean of national populations.) However, I wonder if the transition Teyssot identifies in architecture theory was actually as general and wholesale as he puts it. While an explicit emphasis on the historical transition from type to typology may suggest the complete elision of mimesis in modern architecture, an examination of this same time period through the lens of organicism suggests a continuity of mimesis, although along slightly different lines than those of classical and neoclassical theory. The art historian Caroline van Eck has characterized nineteenth-century architectural organicism as a transformation of mimesis in her analysis of modern architecture (Van Eck, 1996). In her text, Organicism in Nineteenth Century Architecture she describes organicism as a long line of nature theories in architecture that became more scientific in character by the late nineteenth century. However, this attraction to the sciences resulted in a shift from a direct imitation of natural specimens as ornament in neoclassical mimesis to the imitation of the nature’s processes for creating variety in architectural design In van Eck’s description, the focus of modern theories of mimesis merely shifted away from the literal imitation of natural products to its means of production. This emphasis on process over image helps van Eck account for the similarities that existed between several rubrics of architectural organicism, some of which were associated with orthogonal geometries and others with curvilinear forms.